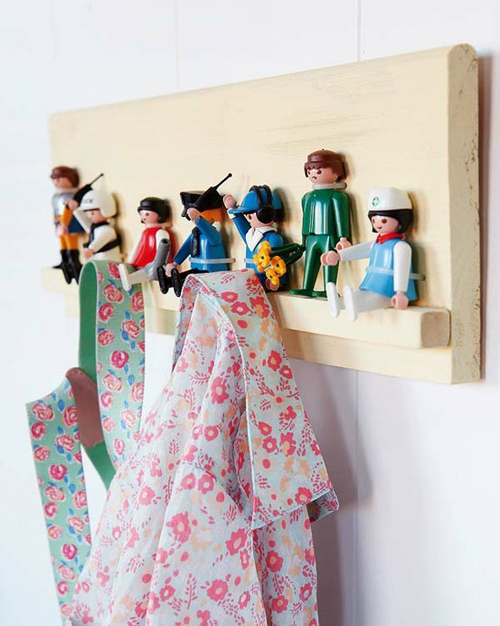 Today I’m loving … this Playmobil coat rack. It doesn’t seem very complicated to make it yourself. All you need is wood, glue and some Playmobil puppets. A fun idea for a boy’s room! Haha, what a fun idea. My son would love this! haha! must confess, want one for me! oh sooo sweet idea! !love it! that is so cute. i need it. Why would this design be more suitable for a boy than for a girl? This is possibly the most awesome idea I’ve ever seen for hanging cool kids clothes! I love!